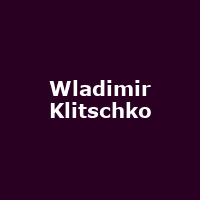 Wladimir Klitschko is a professional Ukrainian heavyweight boxer. He won a gold medal at the 1996 Olympics and has been the longest reigning heavyweight champion of all time. Wladimir had an undefeated run of 11 years until his 2015 loss to Tyson Fury.